The elegant evening at NSU Art Museum Fort Lauderdale celebrated the opening of the exhibition Bellissima: Italy and High Fashion 1945-1968 and the 30th anniversary of the museum’s modernist building designed by Edward Larrabee Barnes. We are pleased to announce NSU Art Museum Fort Lauderdale’s BELLISSIMA GALA celebrating the 30th anniversary of the museum’s modernist designed building by Edward Larrabee Barnes. Join us for a private preview of BELLISSIMA: ITALY AND HIGH FASHION 1945-1968 and a unique cocktail, dinner and dancing experience. Please note there is limited capacity at each giving level. Proceeds from the event will support the museum’s exhibition and education programs. The exhibition, on view at NSU Art Museum Fort Lauderdale from February 7 – June 5, 2016, is presented by Bulgari. Additional support provided by the Consulate General of Italy in Miami, Italian Trade Commission, Vontobel Swiss Wealth Advisors AG, Funding Arts Broward, Conde Nast and La Rosa mannequins. The exhibition is a project by the Maxxi: National Museum of the XXI Arts in Rome. Curated by Maria Luisa Frisa, Anna Mattirolo and Stefano Tonchi. Your philanthropic contribution will support the museum’s exhibitions and education programs. Tickets are non-refundable. 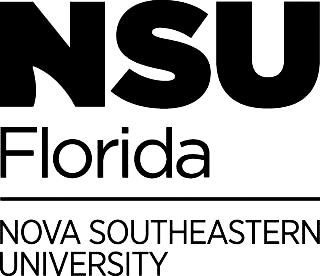 NSU Art Museum is a 501 c3 non-for-profit organization as certified by the IRS. Your gala contribution will be tax deductible within legal limits. Holly and Scott Bodenweber and Hudson Family Foundation, Inc.